You will want to save the file in the folder you are using for your ebook project. You will need to do a bit of cleaning up of the file using Find and Replace to make sure there are no spaces before the opening <p> tags or after the closing </p> tags. There might also be some blank <p> tags and maybe some non-breaking spaces (&#160; or &nbsp;) left in the file which need to be deleted. In the screenshot above, ‘&#160;’ is being replaced with nothing (i.e. it is being deleted). 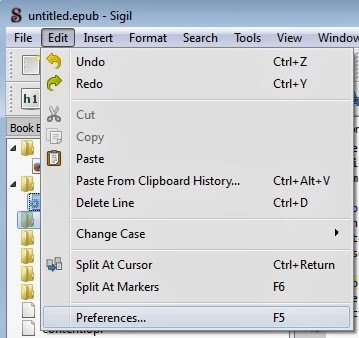 As I said at the beginning of this post, unless you save the original MS Word file as unformatted text, when it is imported into the ebook, Sigil will copy the entire MS Word stylesheet along with the text and convert the styles into inline CSS which it will put into the <head> section of the document. This will usually ammount to several HUNDRED lines of code. You want to be sure that your ebook displays exactly the way you want it to, and so importing the MS Word stylesheet is NOT a good idea. It is WAY too complicated and finding and fixing any problems will be well nigh impossible. Keep your ebook coding simple and basic and there will be less to go wrong! Next Steps: You need to create and link a CSS stylesheet in your epub. Then you are ready to replace the markup with the CSS styling you want and to split the one long chapter you have just created up into the individual chapters. Wow, your method of importing Word into Sigil is quite complicated and must take you hours and hours!! 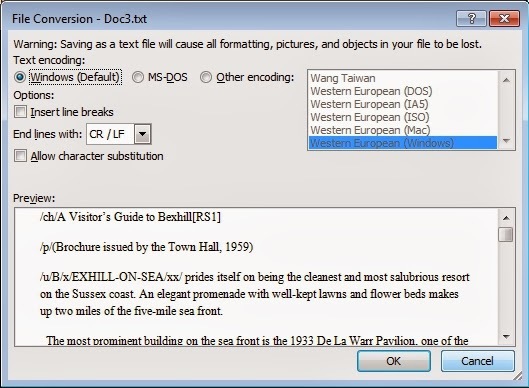 I have a much easier method that only takes a couple of minutes to import a Word doc into Sigil. 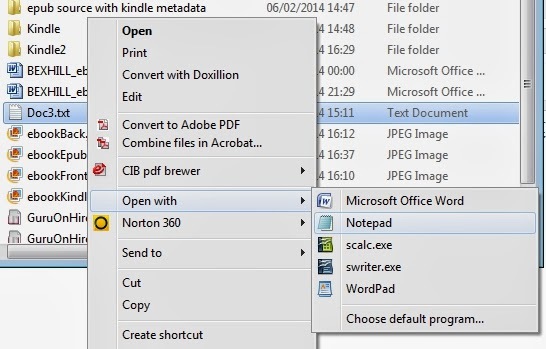 * Save your Word doc as Web Page html, Filtered. * Open Sigil and set Edit > Preferences > General Settings > Mend XHTML Source On to Open. * Now load your Word html doc into Sigil. * Now run a Sigil plugin(that I wrote) called CustomCleanerPlus on your html file. This will quickly and safely clear out all the dross code from your Word html and will give you a good start point to finish off your epub in Sigil. Like I said, doing it this way this will only take you a couple of minutes. 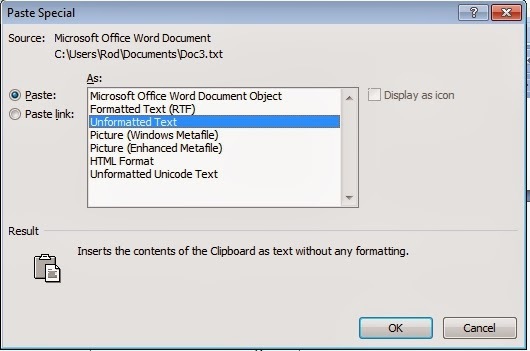 I think that may depend on how well-formed the original MS Word file was to start with. Most Word files I have seen that other people have made have not been created from a logically constructed and thought out style sheet. Mostly people format their files on the fly and don't nest styles properly. This would probably still leave a lot of gunk in the file. It sounds like what you have produced is a really useful tool, however. I just like to make sure everything is spot on and begin from the simplest text only file. 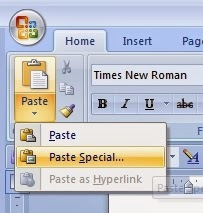 If there is no 'dross' from MS Word to begin with, then from that point on there is nothing to delete! Does your plugin, for example, correct turned quotes, eliminate leading spaces and trailing spaces at the starts and ends of paragraphs, or correctly detect superscript NOT formatted as 'superscript' but instead, something else like set up 2pt? 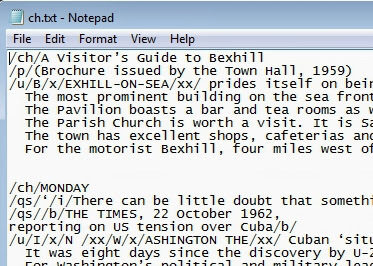 What about a displayed quotation which the creator of the file has made by simply dragging the indent markers in the ruler and then selecting the text and reducing the point size? How can this intention be conveyed to the software? Logically only by the user having set up a specific style for a displayed quotation AND with a name which the plugin recognises. This is a massive difficulty and our software sounds like a major achievement, well done! I just work on the basis that any automated system which a user doesn't understand is always fraught with the potential to fail to implement the user's intention. This is my experience of most 'converters' I have tried. Software, unfortunately, isn't clairvoyant. 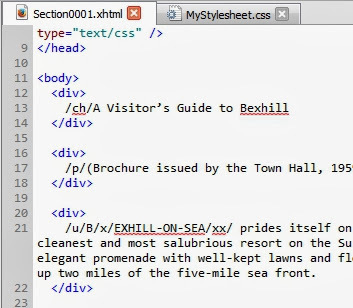 Sigil's 'correct html' option is a case in point. It cleans the code, but doesn't know what the user intended. 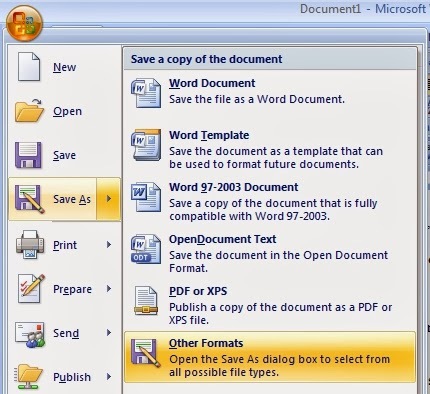 My approach is to mark up the word file completely and THEN strip out the formatting and reduce it to a text file. Then the markup correctly reflects the user's intentions and the conversion process delivers exactly what the user intended. For the same reason, I only code using native html editors, rather than something like dreamweaver. 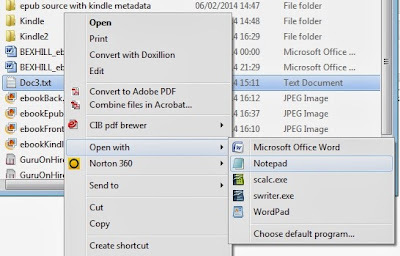 I have forgotten the name right now, but there is an ebook conversion service which uses an MS Word file as the starting point, but it comes with a lengthy e-book on how to format the Word file properly. Obviously, if this manual isn't followed scrupulously, the file won't be properly formed and will produce unreliable output. Thanks for drawing my attention to your work, I'm well impressed!